These are lyrics by Girls Aloud that we think are kind of nonsensical. Girls Aloud's, "Life Got Cold"
Firstly, the first bit is just stupid. secondly, how can you both run and walk at the same time? This is probably meant to be figurative or metaphoric, but... what the heck is a love machine? 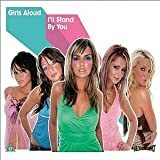 Girls Aloud's, "Sound Of The Underground"
But you just said you didn't know. I don't know what is taking me higher. First she says she doesn't know what is 'taking her higher' but then clearly states it's the static from the floor below. This seems like fridge logic! But then again the whole song is strange. Have they ever been on the London Underground? The only sounds you hear there are announcements saying the trains are late and buskers playing a variety of musical instruments! What underground do they use???? ?